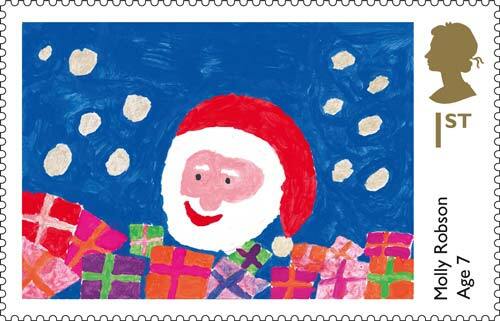 The winners of the 2013 Christmas stamp design competition have been announced today. ‘Santa’, designed by Molly Robson aged 7 from West Sussex is to be featured on the first class Christmas stamps from 5th November 2013. 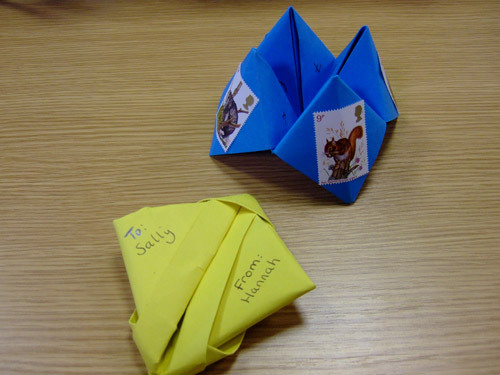 This is only the third time in Royal Mail’s near 500-year history that children have designed the Christmas Stamps. The Prince of Wales led the judging panel that chose the winning designs. 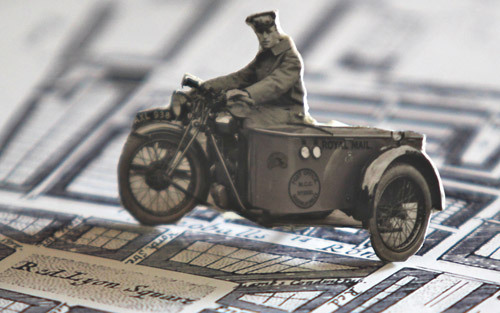 A new website has been launched for children, parents and teachers to view the entries submitted to the competition: www.royalmailstampcompetition.com. 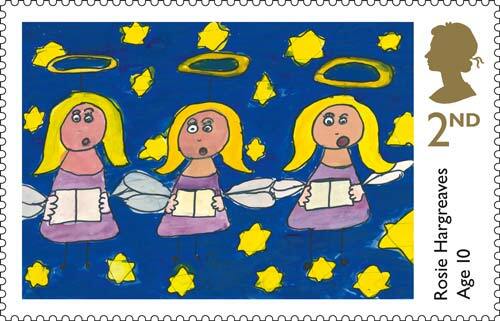 ‘Singing Angels’, by Rosie Hargreaves aged 10 from Devon, is to feature on the second class Christmas stamp from 5th November 2013. 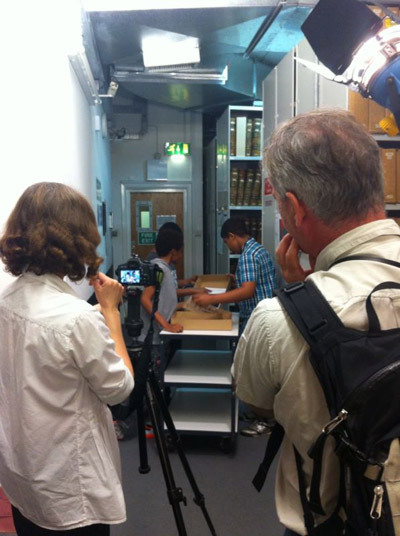 You can also find out more about the first ever Christmas stamps (which were also designed by children) at our website.